16 John Coltrane's "A Love Supreme"
Tracks 1 to 6 taken from "Karin Krog & Red Mitchell - But Three's A Crowd", recorded October 19 & 20 1977 at studio 9 Swedish Radio. Tracks 7 to 14 taken from "Karin Krog, Bengt Hallberg - A Song For You", recorded July 18 & 19 1977 at studio 9 Swedish Radio. 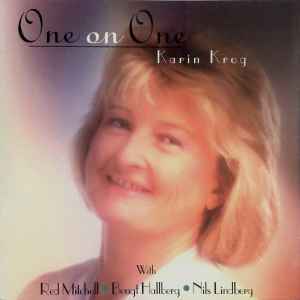 Tracks 15 to 18 taken from "Karin Krog & Nils Lindberg - With Malice Towards None", recorded February 12 & 13 1980 at Gagnef Church.